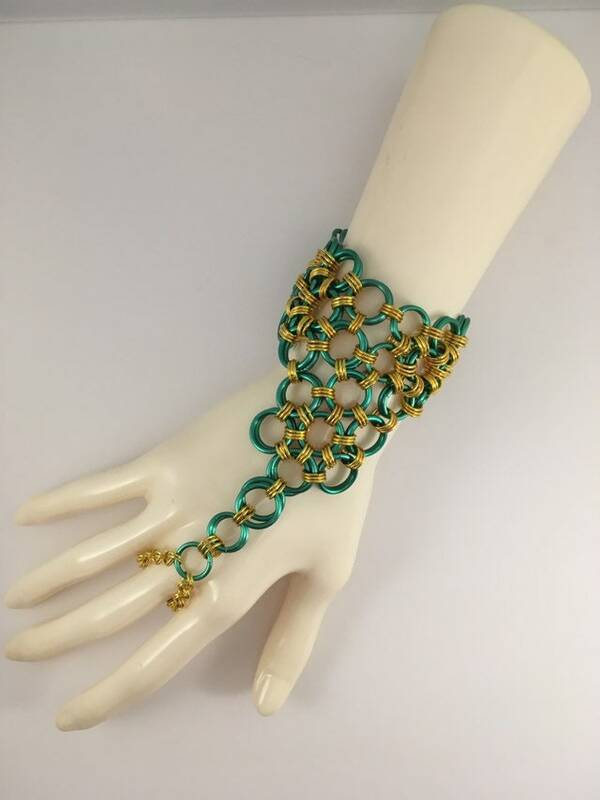 This stunning slave bracelet is one of the finishing touches that a special outfit needs! 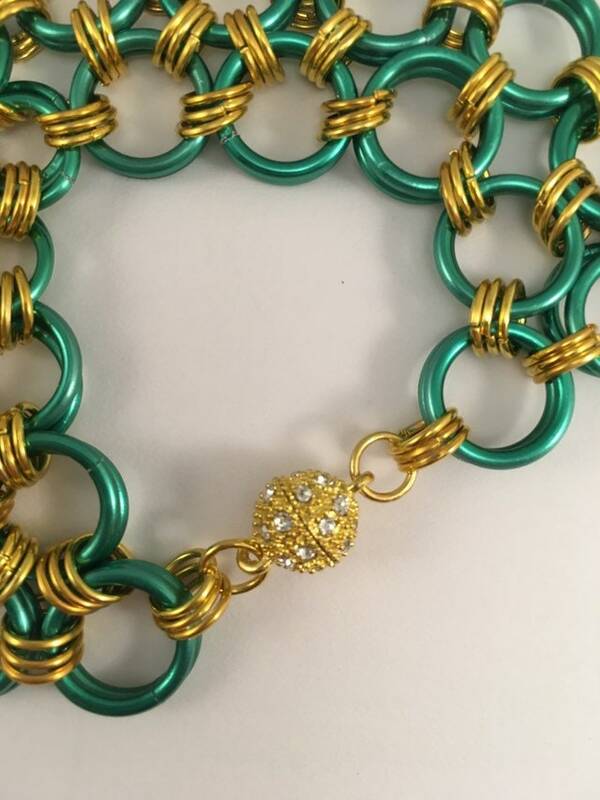 The colours green and gold work perfectly together! 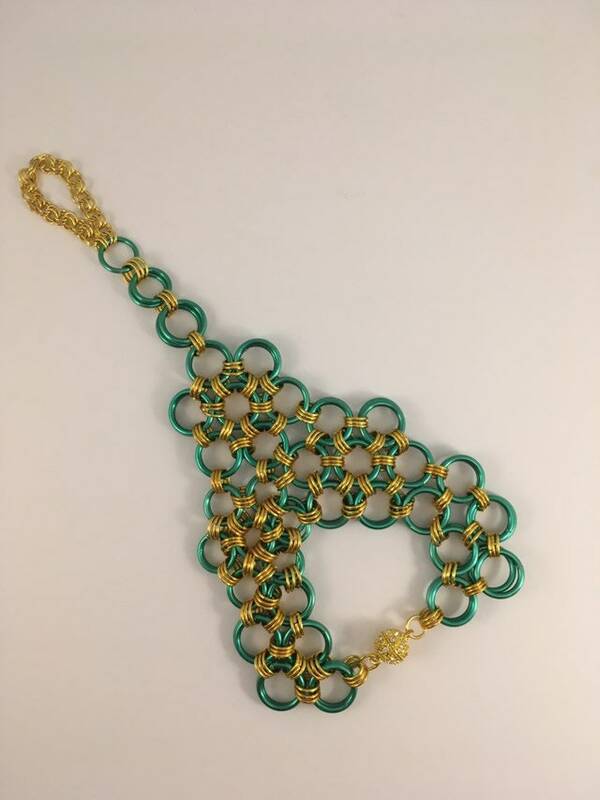 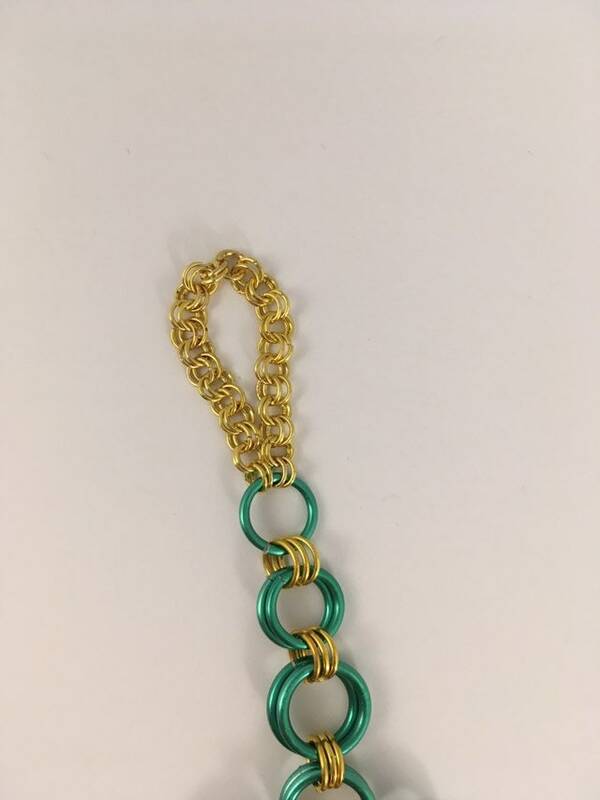 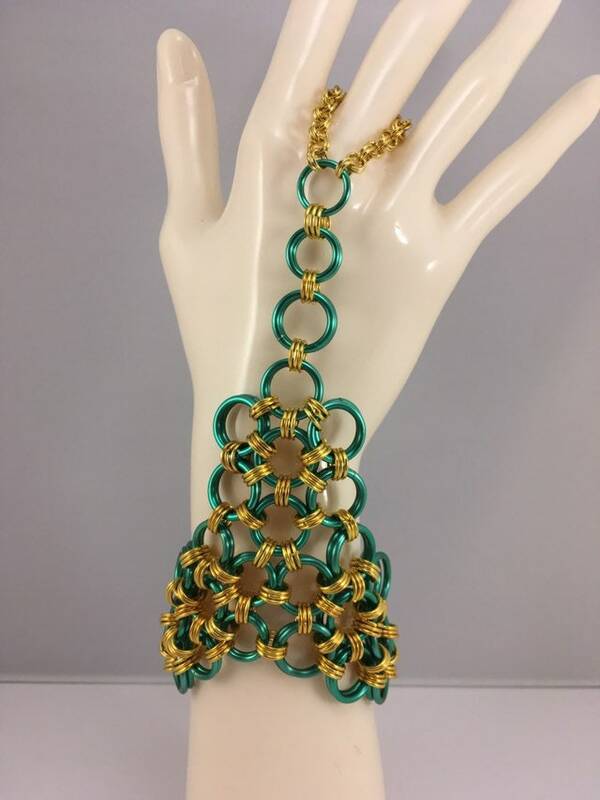 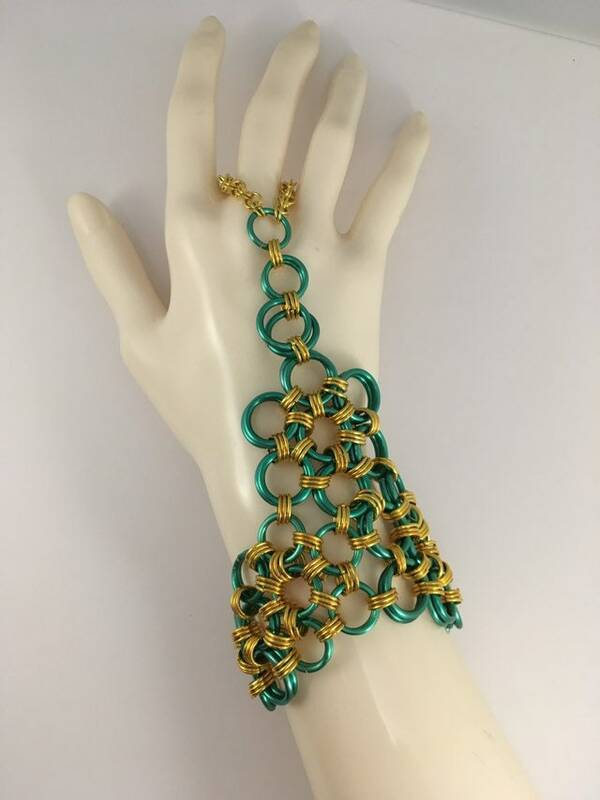 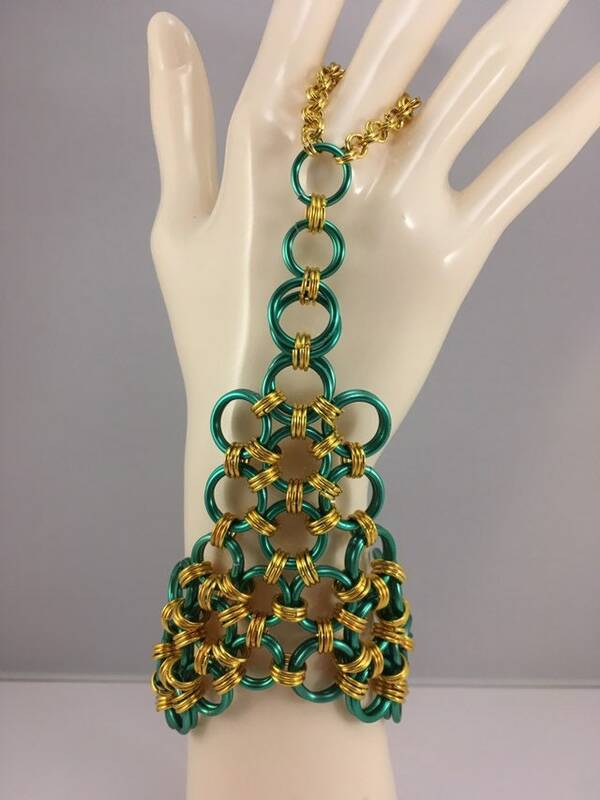 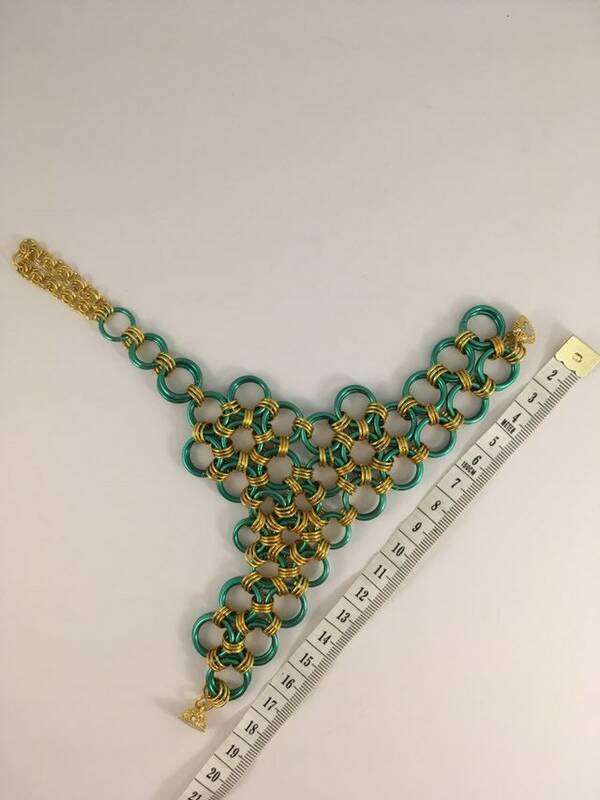 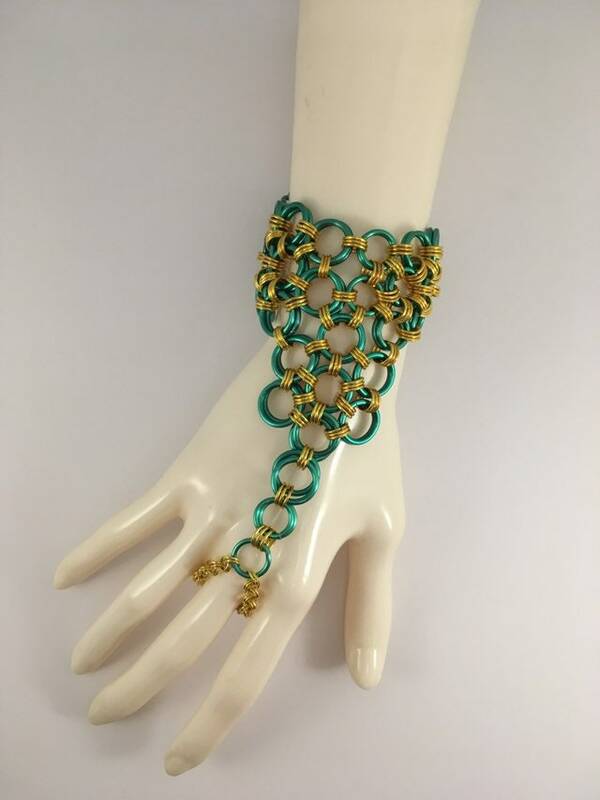 It is handcrafted chainmaille and so easy to wear. 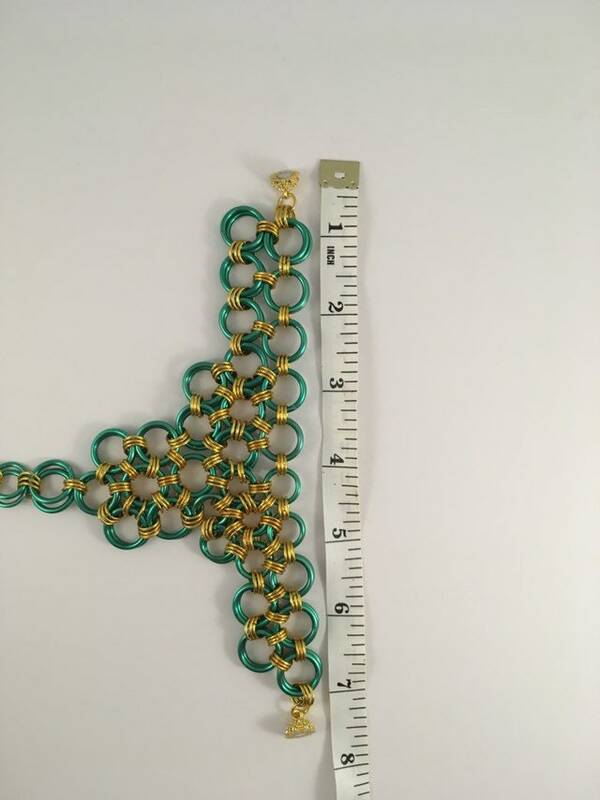 Features a magnetic clasp.